All the world is birthday cake. Sunday 22nd July. Jon is a great big 23 today! All grown up! 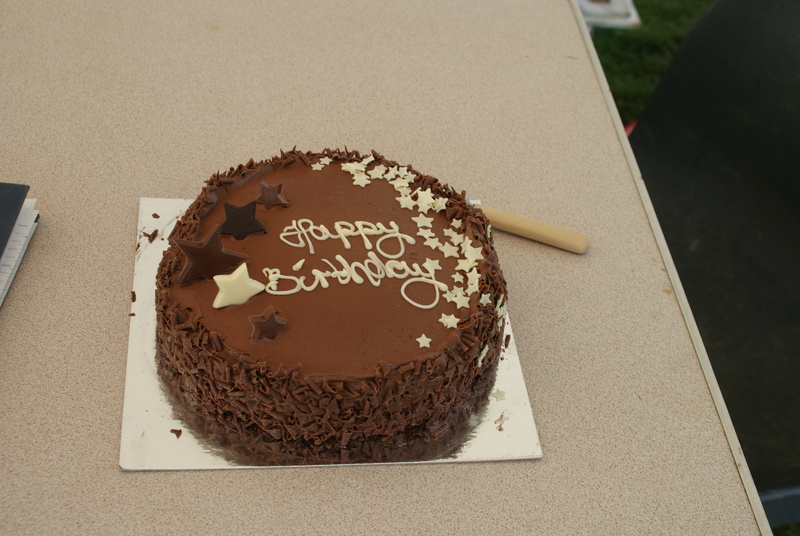 But this didn’t mean that we took the day off to celebrate – we got on with more digging in the glorious sunshine and ate cake in our break times. 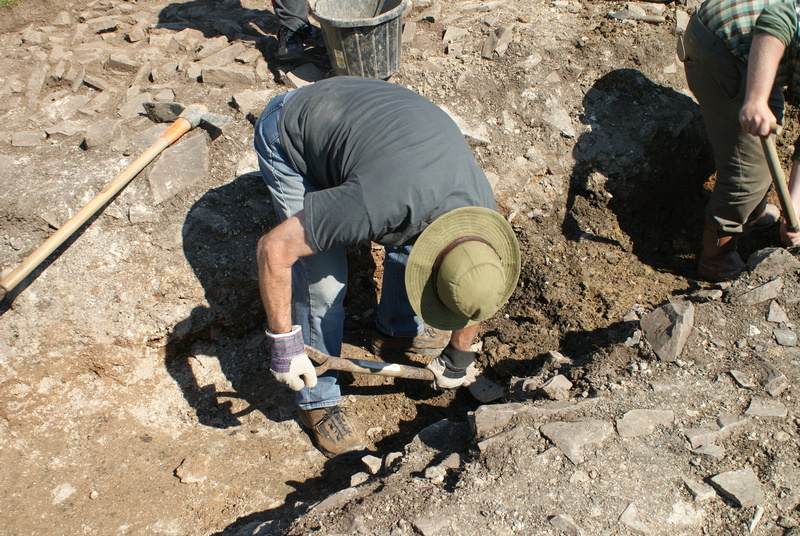 In Ed’s half of the trench they continued digging down into the robber trench and found various artefacts such as glass and pottery fragments and iron nails. At the other end of the trench we had reached the bottom of the robber trench – we found subsoil and bedrock which are both natural geological features. By finding these we knew that no more archaeology was going to emerge further down. 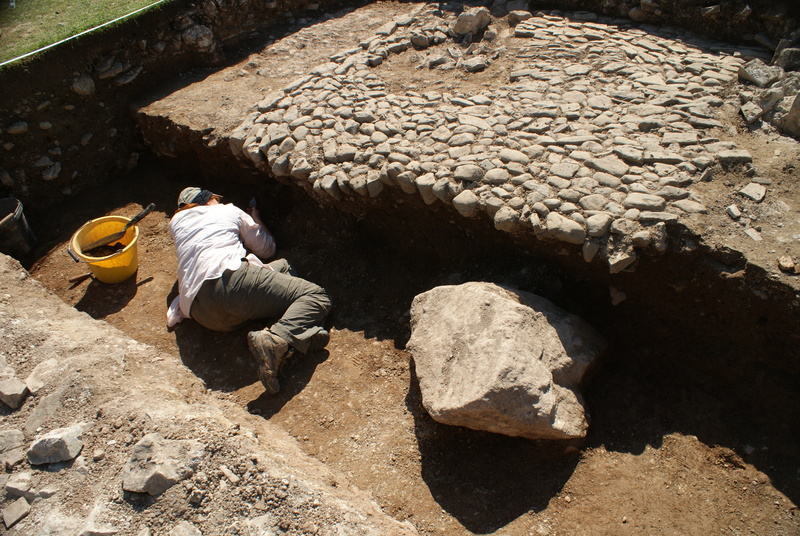 We did, however, manage to expose the whole of the rock that we found on Saturday and we discovered that in order to remove the wall stones from the trench Paxton’s workers had undercut (dug at an angle beneath) the cobbles resulting in a rather extreme overhang. You can see both the rock and the overhang in the image below. It appears that the large rock that we discovered had been moved slightly but left behind, therefore it is not in situ (where it was originally) however it is a clear indication that the feature we were digging is indeed a robber trench and not another feature such as a ditch. And to top off a fantastic day’s digging we had around 40 visitors who came to see how we were doing!